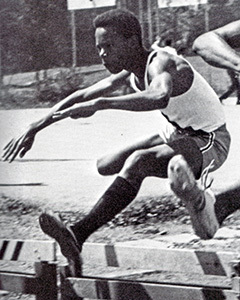 Do you remember Rudy McClinon? 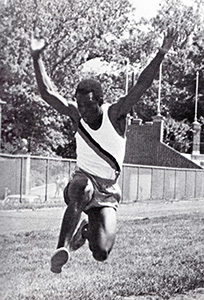 Rudy McClinon graduated in 1970 and was inducted into the Hall of Fame in 2016. 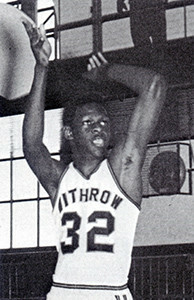 Rudy attended Withrow from 1967-1970 and was a three sport varsity letterman (1 in football, 1 in basketball and 2 in track). In football, Rudy played as an undersized defensive end demonstrating a tenacious drive to succeed that would serve him will in the future. A strong student, Rudy received an academic scholarship to Xavier University and walked-on the Xavier football team as a freshman. At the end of that year, Xavier University gave Rudy a full-ride football scholarship; and he went on to be a 3 year starter as a hard-hitting defensive back. 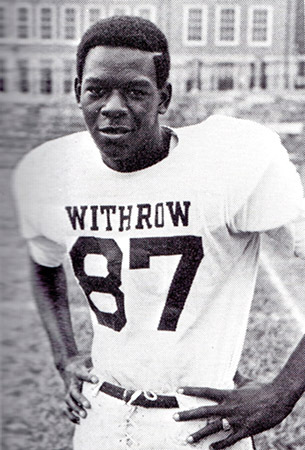 In 1974, he was selected to play in the North-South Senior All-Star game and was drafted by the Cincinnati Bengals in the 12th Round. Rudy played three years in the Canadian Football League with the Saskatchewan Roughriders and Calgary Stampeders (1975-77). Rudy resides in Greenwood Village, CO., and is a business partner in a Physical Fitness Center.